I recently discovered a wonderful legend about Filey, a small town just a few miles from my coastal home. 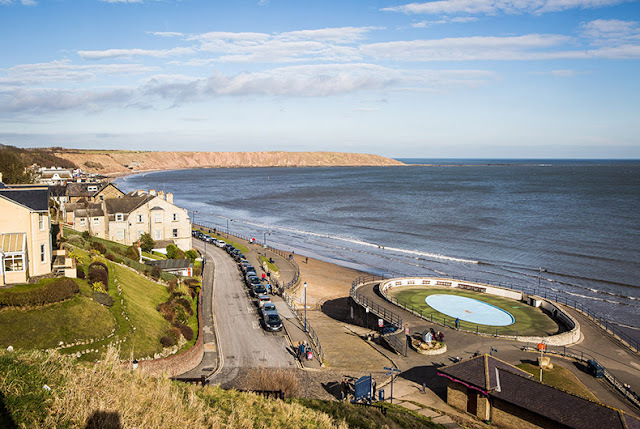 According to Wikipedia, Filey is a seaside resort, historically part of the East Riding of Yorkshire, between Scarborough and Bridlington on the North Sea coast . According to me, it’s a beautiful seaside traditional seaside town perfect for family holidays. See that arm of rock sticking out into the sea like half of a giant hug? That’s Filey Brigg – the backbone of my legends. The first myth is the tale of the devil hammering out this ridge. Careless, as all legendary demons and giants seem to be, he dropped his hammer into the sea. When he reached into the water to retrieve it, he caught hold of a fish instead. Let’s face it, he could have said far worse. 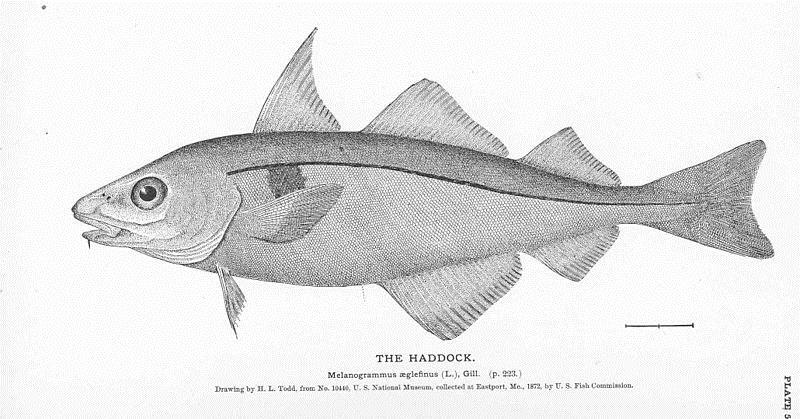 Yorkshire folk corrupted his words to "Haddock." The devil's giant hand left two dark marks on the fish’s shoulders. To this day, every haddock bears these marks. Thanks to Freshwater and Marine Image Bank for the use of their picture. Mmm, love them battered and served with chips. Unable to resist the sweet treat, the dragon stole it, but the sticky cake stuck to its teeth. It swooped down to the sea to wash out its mouth. The locals ambushed it and drowned it. The story goes that the Brigg is the fossilized remains of the dragon. Dragons pop up in my books too. This summer, Luminosity Publishing release my book, Dominated by the Dragon. 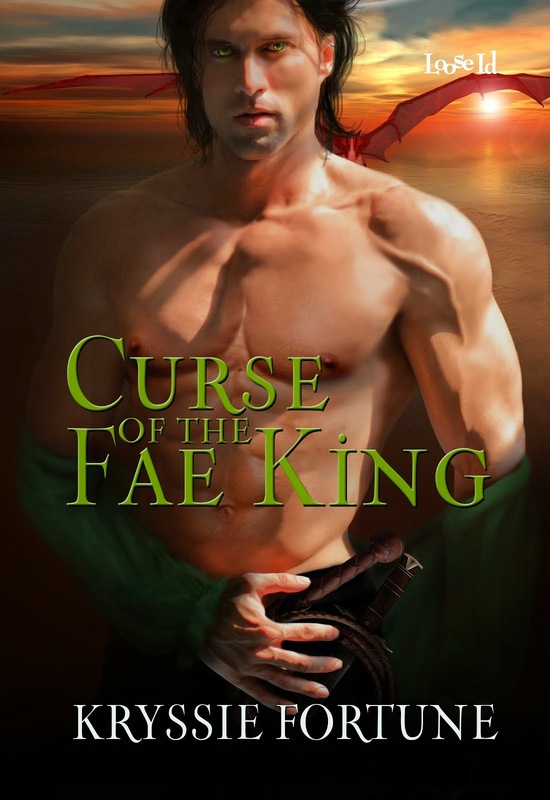 Flynn’s a dragon shifter with a demon melded into his soul, but more about him nearer the time. Lipstick in my Scattered Sibling’s werewolf series is the cutest, naughtiest dragon out there, and he’s always hungry. Although not a shifter, he’s not dim enough to fall for an ambush though. If you want to know more about him, he first shows up in my book Curse of the Fae King – a stand alone romance. 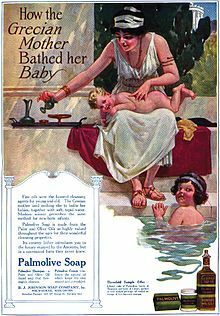 Ever wondered about soap? Where does it come from and how is it made? Soap making uses a chemical reaction between alkaline Lye and acid fats to form solids. Yeah, I hate the chemistry too. Let’s go back to basics rather than study chemical equations. Viola, the heroine in To Seduce an Omega, makes her living from the herbs she grows. Her lavender soap is popular with everyone, but it takes her weeks to produce. In a world where science has given way to magic, Viola makes her own Lye. She collects the ashes from her fire, and once she has enough she sieves them and keeps only the finest. Next, she covers them with water and forgets about them for a couple of weeks. Finally, she sieves the ashes again, but this time she keeps the liquid and loses the ashes. This liquid is slightly soapy. That’s her Lye. 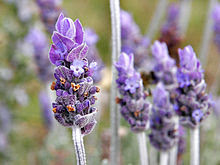 While her lye’s brewing, Viola turns her attention to her lavender. She gathers her lavender flowers and hangs them somewhere out of the sun to dry. Once she has enough dried flowers she pounds them in her pestle and mortar then stores them in a clean pot. She tops it up with animal fat, covers it, and leaves it in a sunny place. The perfume develops slowly and can take up to six weeks. 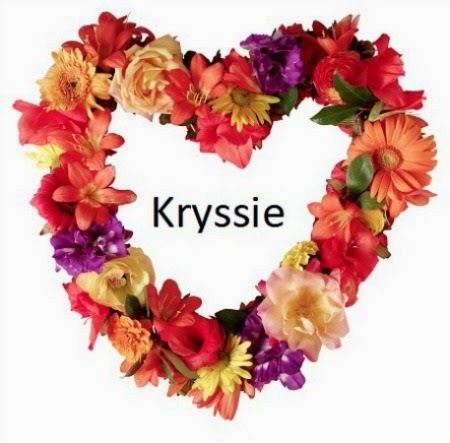 Next she melts the fat and strains it, discarding the crushed flowers. The next bit is where the chemistry happens. Very carefully, Viola adds the lye to the perfumed fat. Once the mixture’s stopped bubbling she pours it into molds and leaves it to set for several weeks. Then she limps into Prowlerville and sells her soap to the general store. Soap making’s a long drawn out process, but a she-wolf needs to eat. Since Viola can’t turn wolf and hunt for food, she needs to buy her meat pre-butchered. That or turn vegetarian. The way her cash flow’s going, meatless is looking like her best option. Looking at him rekindled her dreams of love and romance, the ones the alpha’s thugs had beaten out of her. This newcomer woke something wild inside her, but Viola had long since resigned herself to a solitary existence. No mate. No cubs. No decent home. Little fresh meat and rarely a kind word. She was sick of being isolated and alone. When the alpha had declared her the pack’s omega wolf, he hadn’t expected her to last long, but her stubborn streak had kept her strong. She wanted nothing to do with one of Zebadiah’s brought-in bullies. The quicker this strange attraction she felt toward Titus faded the better. Her hut with her makeshift dresser—more rough pieces of wood propped on stones and her pallet of moss—shouted poverty and defeat. She leaned against one of the hut’s uprights and flexed her leg, glad to take her weight off her knee. Much as she wanted Mr. Fix-It’s hand on her breasts and his lips against hers, she hated the unexpected jolt of mating heat. Her throat constricted as her libido went wild. His presence overwhelmed her, and his sheer size made her hut seem crowded. The look on his face, as though he struggled not to gag at a bad smell, hurt more than she’d expected. Though he seemed unconcerned about Tansy’s blood dripping on his expensive clothes, Viola knew the shabbiness of her home disgusted him. He had a good heart to tangle with a murder thorn and rescue Tansy despite his allegiance to the alpha. Just knowing he planned to join Zebadiah’s squad of mercenaries sucker punched Viola. Titus was muscle for hire, a wolf paid by Zebadiah to grind the pack into submission. She knew about the alpha’s bullyboys firsthand.